HISTORY-MAKING Bromsgrove Sporting will add another page to their growing list of achievements in August when they begin life at the level of non-League football Bromsgrove Rovers found themselves before the club’s demise in 2010. Sporting became the only team in town the same summer when Rovers folded and began life in the then Midland Combination Division Two in front of a crowd of 116 for their very first home league game, a 2-1 victory over Chelmlsey Town. Fast forward eight years and Sporting are now the 49th best supported non-League team in the country according to the website www.nonleaguematters.co.uk with an average attendance of 759. Throw in an unbeaten season, a second successive league crown, a thrilling roller-coaster ride to the FA Vase semi-finals in 2017 and turmoil both on and off the field, Sporting’s history is already as colourful as the kit donned by the Rouslers on a Saturday afternoon. While the Road to Wembley ended heartbreakingly at Cleethorpes Town, the unbeaten season saw former gaffer Paul Smith secure a memorable promotion and put Sporting in the frame for further success in a division where they competed with former National League North side Worcester City. 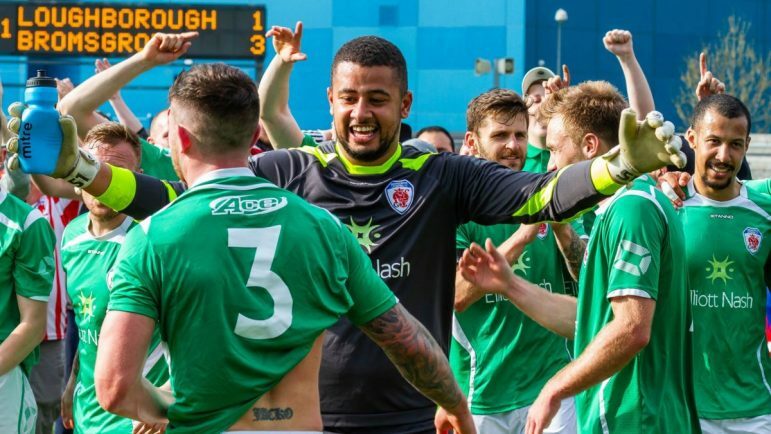 Managers such as Smith have come and gone in the climb up the leagues but come August, Sporting fans will witness Step Four football for the first time since Rovers yo-yo’d between the Southern League Premier Division and Division One. The FA Vase will be replaced with an FA Trophy campaign against some of the biggest names in non-league as Sporting seek to emulate the path trodden by Hereford, born out of the demise of the city’s former club but collecting promotion after promotion in a rapid ascent up the non-League pyramid. It is unclear as to what division Sporting will be playing in next season, although the likelihood is they will be part of the constitution for the new Evo-Stik Central Division One. A remarkable growth for a club which is soon to be a decade old. There is no doubting this sleeping giant is finally awakening to its true potential. The Rovers graced the Conference in the late 1990s, based on the last eight years you would say there is more than a Sporting chance Bromsgrove could be represented at the top of the non-League pyramid once again.